A key scene within Isabella’s Calico Groom (Calico Ball: Timeless Western Collection) is on Independence Day in Evanston, Wyoming Territory (a week shy of Wyoming’s acceptance into the Union as the 44th State). 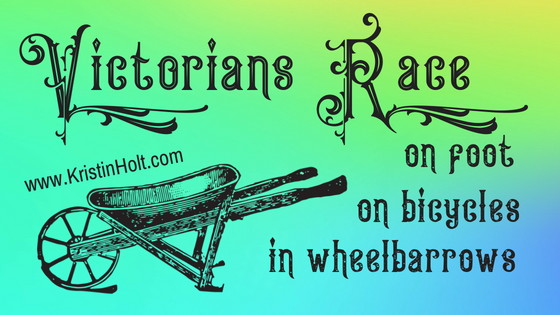 In keeping with the historical favorites when celebrating July 4th, the characters took note of the races–on foot, on bicycles, and in wheelbarrows. 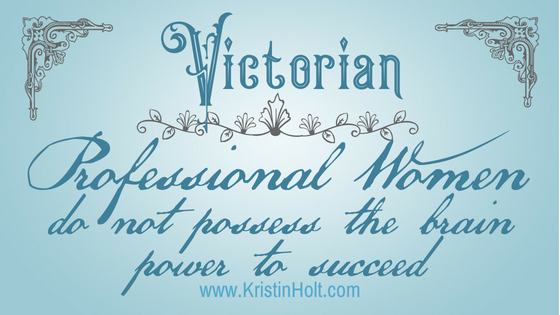 Victorian Americans enjoyed a wide range of contests with appealing prizes (cash, clothing, shoes, jewelry, etc.). Would you rather compete in a bicycle race, or in chasing a greased pig? 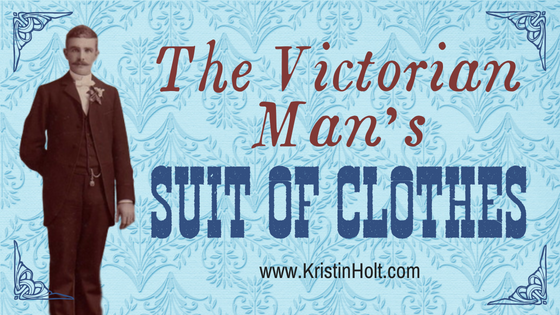 A man’s proper suit of clothes was worn by gentlemen, bankers, clerks, professionals… virtually every man except those who labored manually (such as miners). Given men owned so few items of clothing, they certainly wore what they had, despite the demand. Levi Strauss developed the original “Levi’s 201’s” and “Levi’s 501’s”, built to last in the clothing-destroying mines. Compare and contrast the “suit of clothes” with Levi’s originals. 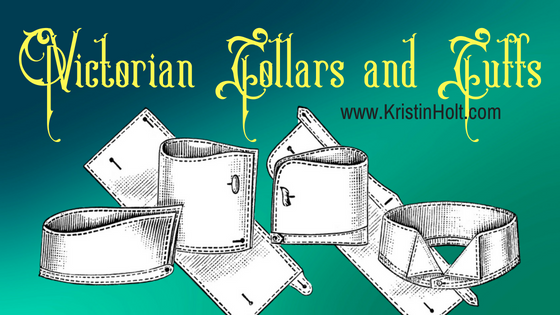 In Victorian men’s fashion, Collars and Cuffs were something altogether separate and different than a shirt. A whole different paradigm, given today’s men’s dress shirts are one solid piece, with the collar and cuffs attached. See vintage images of the styles and reasons why tailors (and factory producers) bothered to make the collars separate–and why some were made of PAPER rather than fabric. 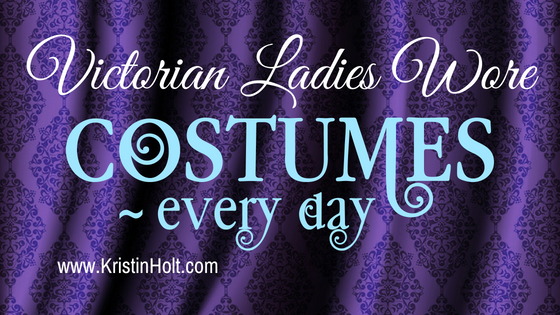 Did Victorian women wear costumes every day? Or dresses? Which was it? 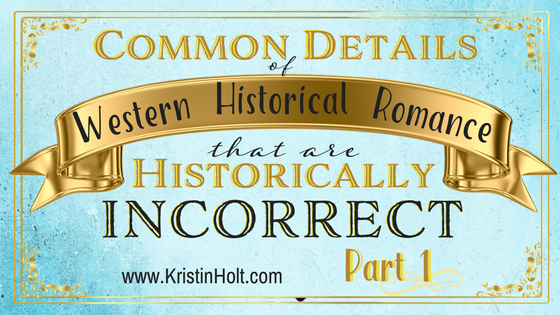 Historically accurate… or So Not The Way Things Were? Why? How do we know? 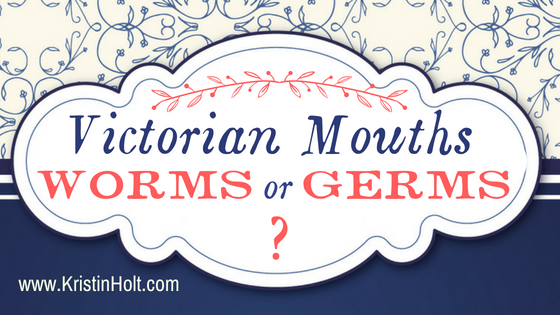 Victorian Mouths ~ Worms or Germs? Scientific understanding of dental decay received a huge boost in the work of Dr. Willoughby Miller, an American dentist in Germany in the late 19th century. His publication of his microbiology discoveries, Micro-Organisms of the Human Mouth, eradicated old myths and brought about “an unprecedented interest in oral hygiene”… and occurred just in time to contribute to my novella’s setting and characters’ development. Did Victorians blame tooth decay on worms or germs? 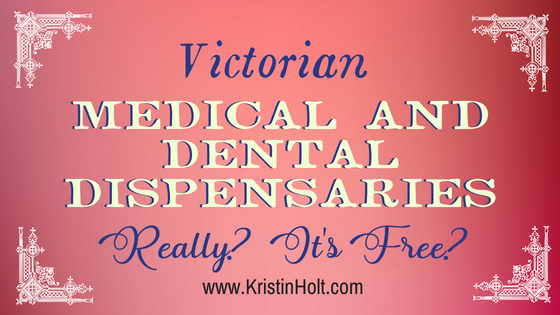 Victorian Medical and Dental Dispensaries: Really? It’s Free? What is a Dental Dispensary (as seen in Isabella’s Calico Groom)? Compared to true-to-history dispensaries for medical care and eye troubles, this component of medical care to meet the needs of the poor was a real thing in the 19th century United States. Cocaine, together with its significant benefits and significant addiction potential, was discovered in the late 19th century (1884 to 1885). 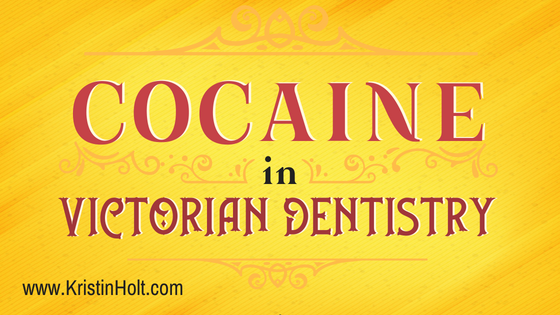 Dentists were quick to put cocaine to work for their patients to numb previously excruciating dental work. Citations from vintage publications illustrate the importance of this discovery, attitudes that surrounded cocaine’s use in dentistry and medicine, and the ease with which patients (and parents) accepted the use. 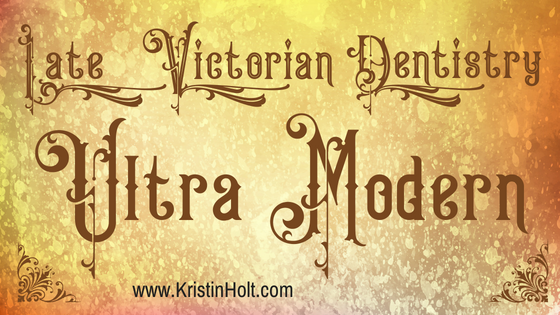 Late Victorian Dentistry: Ultra Modern! While researching dentistry in 1890 for an accurate setting for my title, Isabella’s Calico Groom, I was quite surprised by how advanced and “modern” (by today’s standards) dentistry was. Significant advances in dentistry had occurred in the previous decades, making dentistry truly “modern” compared to patients’ previous experiences. The sheer quantity and magnitude of improvements in dentistry qualify dentists of the 1890s to claim “Modern Dentistry” in their advertisements. Nineteenth Century popular belief–wholly supported by Medical Doctors’ and scientists’ claims–genuinely believed that educating females in the same manner as males invited an entire host of disastrous results. Those terrifying results included everything from destruction to the woman’s reproductive system, mental breaks (yes, insanity! ), and a long list of physical diseases. Because the vast majority believed these consequences to be true, women weren’t allowed to seek education in a male-dominated classroom. The battle over co-education continued long after the late 19th Century for these reasons. Not only was the woman’s mind and body at terrible risk, should she be educated like a male, but everyone knew a female mind couldn’t take in significant learning.